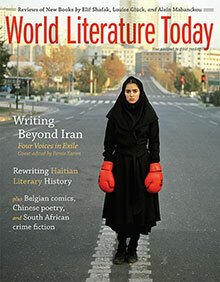 To accompany Omid Fallahazad’s interview with Ravanipour that appears in the March 2015 print edition, the Feminist Press has generously granted WLT permission to reprint the title story from The Shipwrecked: Contemporary Stories by Women from Iran. 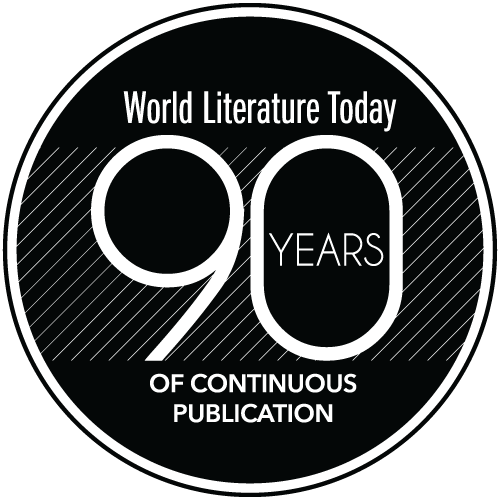 You can also read a review of the story collection in this issue of WLT. Moniru Ravanipour. Photo by Aaron Mayes. She considered writing, “the woman was sitting in the cellar.” But she had never seen the cellar. She had to write, “the woman was in the hallway” or someplace dank and salt stained, “with the blistering cold of the island and the winds of December.” Then she remembered that the island isn’t so cold in December and it is in early January that the weather takes a breath and is rid of the heat and humidity. She had to write, “January, and four lit candles in that small dark room or cellar,” which must have been wet, because wherever you are on the island, if you dig even a few inches into the ground, water will seep out. Grandmother, who is buried in this old cemetery, always said, “Here everything floats on water, everything. We’re just fooling ourselves thinking we live on solid ground.” Grandmother was right, there is no dry ground on the island, and it’s worse in a cellar. Its floor must be wet. There are cracks in the ceiling and the walls are salt stained. She could write, “the woman was alone with a wet wooden bed and a blanket in which someone was wrapped.” And the blanket was new, checkered pink and white. At times like these they usually take the best things and then the pink-and-white blanket gets muddied. Dirt and mud stick to it and bloodstains slowly spread on it resembling a crab reaching out its claws beseechingly in every direction. A crab, a crab that wants to escape, escape in every direction. A crab that has lost its mind, that reaches out its claws in every direction yet remains in one place. In one place, on the checkered blanket, and only its claws stretch out and reach the edge of the blanket, the blanket that will surely get muddied or stained with a mix of blood and mud if Golestani is not tied to something, to a tree, for instance. Afterward Golestani must have fallen: first his knees buckled, he tried to remain on his feet, but the next hail of bullets mowed him down like a storm that uproots a tree, and then sparrow-like, he shuddered and a pair of hands untied him. And still bent over, Golestani slid to the ground headfirst, and then those hands took hold of his feet and dragged him. Dragged him to the side so that they could tie the next person to the tree. A tree that smelled of gunpowder, that had long smelled of gunpowder. But what tree, what massive tree is there at the harbor that can withstand this? A palm tree certainly can’t: with the first person and the first barrage of bullets it will be done for, and a silk-tasseled acacia will never let you tie someone to its trunk and kill him. Ten days before she died, Grandmother saw with her own eyes the silk-tasseled acacia tree that had been pulled up by its roots from a town square, wailing like a grieving woman and heading toward the sea to drown itself. It was never revealed who shot the seagull, but in a mournful arc it had flown off the silk-tasseled tree and Grandmother said a drop of its blood must have fallen on the tree. She got up. She didn’t want to think about Grandmother and the memories that never left her. She must write the story, the story of the cellar, and not think about anything, not about Grandmother, not about the silk-tasseled tree, and not about the island’s palm trees that have been sapped of their strength. No, they didn’t tie him to a palm tree. A palm tree couldn’t endure it, even if it was its first time. No, there are other ways. For example, they could have hit him on the head, rendered him unconscious, and then tied his hands behind him and stretched him out on the ground facing the sky and shot him straight in the heart. If they did shoot him in the heart, there would have been no need for a final bullet in the head, surely there would have been no need . . .
Mrs. Golestani hardly said anything. She was dazed and dumbfounded. Mrs. Golestani’s chopped words were of no use. But it is as clear as daylight that a man like Golestani wouldn’t easily let them tie his arms and legs and pin him down on the ground. He must have struggled and thrashed about, and then they struck him on the head, and this, this shows that there must be mud on the blanket. She picked up a cigarette. outside the window the sky was black and the wind was spiraling in the palm trees. The wind’s strange, ominous howl! It was near and far, and something, something was rippling before her eyes. Just like when the breeze blew over Grandmother’s silk minaar, Grandmother’s green lace headscarf. Now it was Monday and the cemetery wasn’t terrifying. The sea filling up with corpses one night or one day and the island emptying of life, the dead, tired of putrefying deep in the waters, pooling their anger and returning to dry earth . . . no, these tales were not for now. The island was still full of living people and she could peacefully write and ignore Grandmother’s superstitions. She just had to focus on the story and fill the sheet of paper that was still blank. She had heard this from Mrs. Golestani late one night after the incident when she had gone to Golestani’s house. She couldn’t ask for details about the two young men. Mrs. Golestani had even forgotten what they looked like. But still, she could come up with something. For instance, she could describe them as having their hands in their pockets, with their collars turned up against the chill and the cold winds of February, leaning against the wall, waiting. She had tried to get Mrs. Golestani, with her eyes wide with surprise and her thin lips closed tight, to open up and talk, but it was useless. The following day, just like the first time they came without warning and took Golestani away, Mrs. Golestani bought a few kilos of fruits and took several sets of clothes and a pink-and-white checkered blanket and went there; she must have been hopeful and anxious. And the moment when they told her? Mrs. Golestani’s hands remained up in the air, holding the clothes and the bag of fruits. Like a statue she stood facing the young man who had spoken those words. She probably couldn’t see anyone and if the young man wasn’t accustomed to this, he must have run off, or perhaps he stayed there, smirking at Mrs. Golestani’s frozen hands and the oranges that one after the other fell out of the bag and rolled onto the floor . . . Mr. Golestani didn’t like apples, otherwise the young man could have picked up one of the apples rolling on the floor and taken a bite. And then someone screamed, a woman who didn’t know where she was, who she was, or what she was doing, and then there was the rented pickup truck and Mr. Golestani whose head wobbled on the woman’s lap and the rough and uneven road that seemed to have been intentionally littered with rocks so that no one could reach the cemetery easily . . . so that the pickup truck bounced around so much that Mrs. Golestani had to hold Golestani, wrapped in the blanket, tight in her arms so that he wouldn’t tumble out of the pickup truck. And then it was dusk and everywhere was closed, even the cemetery . . .
Remembering Mrs. Golestani crying troubled her. She was crying so hard. It was a crying that had no cure and like a painful wound could disturb the cellar’s mournful air. A writer has to pursue everything, everything from the beginning. And now the sea was full of dead people who went away with this same simple question and their feet never touched dry land again. The wind had become stronger. The rustle of the palm trees, drifting weeds and twigs and commotion filled the air. A strange and vague commotion. Nervous and frightened whispers. In front of her, the window opened onto darkness. The salty smell of the sea wafted into the room. Everything was damp and sticky. There was light in the window of Golestani’s house. A grieving, despondent light, a yellow light that seemed to have died years ago, stretched as far as the window’s edge. She lit another cigarette and stared out at the blackness of the palm trees that blanketed the graveyard. There were only three women. Three women and the others, who stood at a distance and with their finger on a gravestone, found some excuse to watch. Mrs. Golestani was sitting next to the checkered blanket. Dazed, she was gazing at the earth and the sky. It was obvious that she felt stifled by the world. Terribly stifled. And she, clad in a chador, with her notebook in her handbag and her finger on a stranger’s grave, was sitting there, watching. When the gravedigger came, he leaned on his shovel and with his dirt-covered fingers flipped through the three sheets of paper Mrs. Golestani gave him and shook his head. The grave was ready and all he had to do was slide Mr. Golestani into it and cover him with dirt. They had the public prosecutor’s permission, too. But the gravedigger said, “I can’t just bury whoever shows up.” And then he glanced over at Mr. Golestani’s Adidas shoes and heaved a sigh. From where she was sitting, she saw the gravedigger take a five hundred-tuman bill from one of the women accompanying Mrs. Golestani and then he sat at Golestani’s feet and yanked the shoes off his feet and untied the shoelaces with his teeth. Golestani had no control over his legs; they just lay there like a pair of dry sticks. and finally the gravedigger stood up, holding a pair of Adidas shoes. The grave was now ready. . .
“Grave ready, Adidas shoes,” she tried to write these words on the top margin of the page, above the word “Monday.” The paper was wet, the pen was streaking, and the ink was discolored, as if it had remained unused for years. Her head ached, her mouth tasted bitter, and the pack of cigarettes was on the table, cigarettes that with the slightest touch would unravel. Mr. Golestani was a smoker. All the dead who have now gathered beneath the sea waters and are talking with each other or sitting alone in a corner and trying to heal their bullet wounds with sea plants or the remains of dead oysters were smokers. There was a faint light coming from over there, from the direction of the house, Golestani’s house. And now it was two o’clock in the middle of the night and there was a faint light coming from over there, from the direction of the house, Golestani’s house . . . No, the light wasn’t from the cellar, it was from a window, which someone had perhaps intentionally half opened, so that while standing there, facing the darkness, she could look directly ahead and count the graves, graves that stood in rows, one after the other, small and large, as far as infinity. If Mr. Golestani were alive, he would now be sitting at that window reading a book. He would read and leave the window half open, but Mr. Golestani is dead and his wife is probably sitting at that window, crying. The same crying that is impossible to include in the cellar story. Why should she be afraid? it must be Monday, and they were in the depths of the green waters, chatting and confiding in each other. No one could hear them above the water, whatever they said, whatever they wrote, but Monday . . . Monday of what year was it? She stared into the darkness and listened. It sounded as if someone was struggling to climb up to the window. She looked. A pair of hands, thin and long and wrinkled from having been underwater for years, and then she saw Mr. Golestani who pulled himself up to his neck into the window frame. 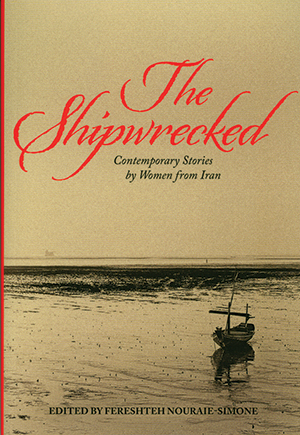 Editorial note: From The Shipwrecked: Contemporary Stories by Women from Iran, ed. Fereshteh Nouraie-Simone, trans. Sara Khalili and Faridoun Farrokh (Feminist Press at the City University of New York, 2014). Compilation copyright © 2014 by Fereshteh Nouraie-Simone. “The Shipwrecked” translation copyright © 2014 by Sara Khalili. Reprinted by permission of the Feminist Press. Moniru Ravanipour is one of the most prominent writers of postrevolutionary Iran. She is the author of several distinguished novels, including Heart of Steel, Gypsy by Fire, and The Drowned. Her collections of short stories, Kanizu and Satan’s Stone, were translated and published in the United States. A former Brown University fellow at the International Writers Project, Ravanipour now lives in Las Vegas and is affiliated with the Black Mountain Institute at the University of Nevada. Sara Khalili is a financial journalist, editor, and translator of contemporary Iranian literature. 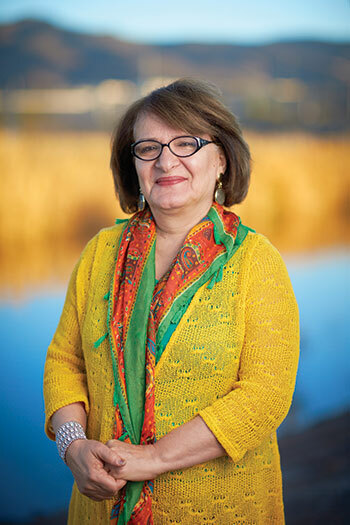 She won a 2007 PEN Translation Fund Grant for her translation from the Farsi of Seasons of Purgatory, a selection of short stories by Iranian writer Shahriar Mandanipour.